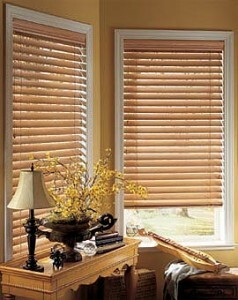 Century Blinds specializes in the manufacturing of all kinds of window blinds. Our product line includes Venetian, Vertical, Roller, Keylite, Wooden, Roman, Roman Bamboo Blinds, among others. Our products are made to order to fit every customer’s needs according to their specifications and requirements. We use only the highest quality materials and components for every window blind. Here at Century, we carry a massive range of roller blinds from blackouts, dimouts, burnouts and special weaves, there’s something for every type of room. Choose from a large range of designs, special weaves and designer patterns. The look of beautiful fabrics in the added dimension of classical folds makes this an elegant roman shade. The look is completed with a hidden bottom rail and fabric wrapped valance. Roman shades are built to raise effortlessly for a lifetime, and are pleated perfectly for a timeless look. Century Blinds manufactures a wide range of Venetian blinds, available in 4 different Slat Widths. Venetian blinds are manufactured using Faber systems across a wide spectrum of colors. Century Blinds can supply various types and colors of Louvre including special weaves, subtle patterns, special coating to resist dirt and stains. Also blackouts and pearlized backed fabrics all with the classic vertical lines to add a touch of class to your windows. The classic look of a real wood blind…simply gorgeous! Traditional wooden blinds are crafted of the finest basswood, hand-selected and individually inspected. Choose from a beautiful color palette of rich wood stains, lustrous paints, and unique sandblasted finishes. Classic wood tones feature ash wood slats with a unique wood grain texture for a distinct look at the window. Seeing and feeling is believing! We carry all Century Blinds samples. Visit our Showroom.